Chinese herbal medicine and acupuncture or acupressure are essential parts of TCM. Herbal medicine includes dry herbs to be taken as tea, herbal tablets or pills, capsules, powders, syrup and lotions, cream, plasters for your convenience. It is prescribed on diagnosis to improve the general condition of the body and to correct imbalance. It is a form of treatment involving insertion of fine disposable needles into acupoints along meridians which form a network of pathways connecting the skin and the internal organs. It stimulates the body’s own self-healing process to return to a normal state. If you don’t like needles, alternatively acupressure can also help. 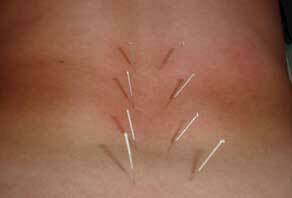 Acupuncture is covered by HAS and other major health insurance companies. Acupressure is Chinese medical massage. This form of treatment has a similar effect to acupuncture but using manipulation on the body to correct imbalances, relieve pain and achieve harmony in the body’s system.